Diabetes mellitus is one of the most prevalent diseases worldwide and an important cause of morbidity and mortality. Of relevance, due to its complicated management, morbidity and cost associated, is the diabetic foot. Here we present a case of a 51 year-old male diagnosed with long-standing decompensated Diabetes mellitus with a 2 year history of a foot ulcer. 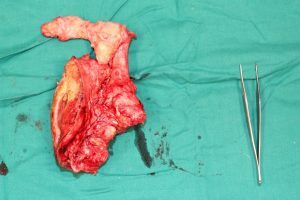 After debridement of the ulcer, preservation of the bony structure was achieved by covering it with a fillet flap. The therapeutic management in patients with advanced diabetic foot should be individualized based on patient characteristics. Oftentimes, conservative amputations entail the need of complex surgical techniques, however, it allows the patient to retain their independence and an improved quality of life. 1 – Department of Plastic, Reconstructive and Aesthetic Surgery, Hospital Universitari i Politèctnic la Fe, Valencia, Spain. Diabetes mellitus (DM) is one of the most common diseases worldwide with a global prevalence of 8.5%, and increasing every year. Sustained hyperglycemia derives in numerous complications, mostly caused by macro and microangiopathy , of special importance are Diabetic Foot Ulcers (DFUs). Diabetic Foot Ulcers represent an important healthcare issue due to the elevated morbidity, complexity of its management and elevated costs associated with this disease . DFUs have a global prevalence of 6.3% and have a higher prevalence in DM type 2 and male patients . Neuropathy is the most important risk factor for the development of DFUs. Moreover, the addition of different factors such as the of loss of skin integrity, existence of foot deformities (Hallux Valgus, Charcot’s arthropathy, etc. ), and peripheral vascular disease ultimately lead to the formation of DFUs . The course of healing the DFU is arduous due to the impaired cicatrization and granulation processes in these patients, which is frequently complicated with superimposed infections. Some cases, especially when osteomyelitis is present, require limb amputation as the sole therapeutic option. However, it is imperative to remain as conservative as possible, since amputations suppose a great psychological and functional impact that can pose a decrease in quality of life. Here we present a case of a patient with a complicated DFU that was managed with conservative surgical treatment without undergoing amputation. A 51 year old male was first evaluated in the outpatient setting for a 1-year history of a DFU on the right foot. His medical history included a atrial fibrillation, dyslipidemia, hypertension, and a poorly controlled insulin-dependent DM with development of retinopathy, nephropathy and cardiac disease. The patient was also an active smoker with over 30 years of smoking history. A transmetatarsal amputation from the 2nd to the 5th toes on the right foot was previously carried out in a different hospital due to inadequate healing of a DFU. The surgical wound was complicated with a dehiscence, which remained as an ulcer that impeded the patient from ambulating. The physical examination showed a lateral subluxation of the first metatarsophalangeal joint, an ulcer on the amputation stump, with granulation on the base and no inflammatory signs, proliferative signs, dermatosclerosis or hyperpigmentation of the skin edges (Figure 1). Additionally, the patient presented signs of chronic venous insufficiency, hence the induration hindered lower limb distal pulse examination. Plantar protective sensation was severely diminished. An MRI was performed, which showed findings suggestive of osteomyelitis of the remnants of the 3rd, 4th and 5th toe, the anterior portion of the cuboid bone, and the navicular bone of the right foot. These findings were later confirmed with a gamma scan. The CTA scan showed bilateral permeability of the aortoiliac, femoropopliteal, and distal infrapopliteal trunks. Given these findings a new surgical approach was conducted, with resection of the remnants of the 2nd to 5th toes, cuboid bone, cuneiform bones, as well as the anterior portion of the navicular bone (Figure 2), a fillet flap from the hallucis and the plantar skin was performed to provide coverage of the cutaneous defect (Figure 3). The pathology report indicated the presence of a verrucous squamous cell carcinoma. However, no infiltrative component was seen in the specimen and the margins were disease free. 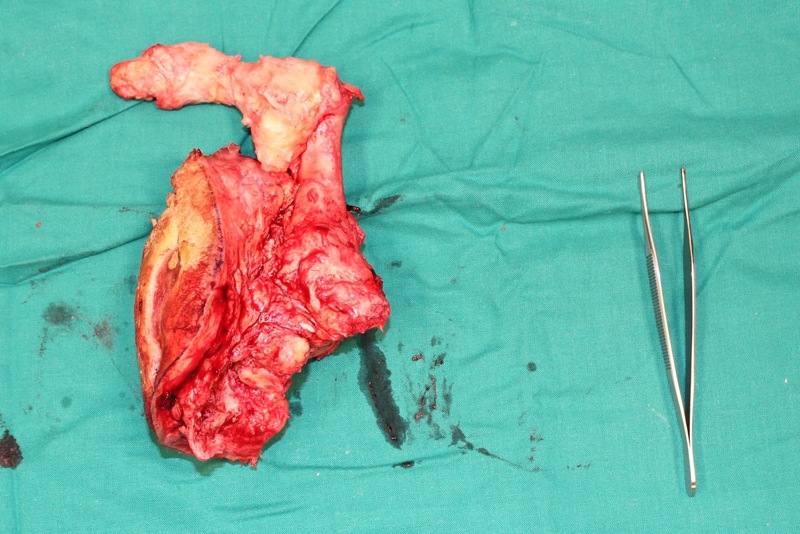 Figure 1 A 51 year old male with a lateral luxation of the metatarsophalangeal joint of the hallucis (Left). Ulcer presence on the amputation stump (Right). Frontal (Left) and plantar (Right) view. Figure 2 Surgical excision of the remnants of the 2nd to 5th toes, cuboid bone, cuneiform bones, as well as the anterior portion of the navicular bone. The postoperative course was uneventful with a favorable healing towards the resolution of the surgical wound, which was supported by a tight glucose control and a smoking cessation program. Two months after the intervention the patient has a healthy-appearing stump that allows ambulation (Figure 4). Figure 3 Foot defect after resection (Left). Coverage with a fillet flap from the hallucis and the plantar skin (Right). Figure 4 Postoperative result two months after the intervention. Frontal (Left) and posterior (Right) view. Complicated diabetic foot poses a risk of amputation and early mortality in diabetic patients. With a 10-fold increase in amputation rate of the lower limb for diabetic patients, according to WHO. Furthermore, the mortality rate is also increased 3-fold within a year of the amputation compared to non-amputated diabetic patients . The course of DFUs is usually difficult owing to a deficient granulation and cicatrization, and commonly complicated with superimposed infections. DFUs that persist over time can sometimes lead to malignant transformation; most frequently squamous cell carcinoma . All of these result in wide surgical excisions and, sometimes inevitably amputations. 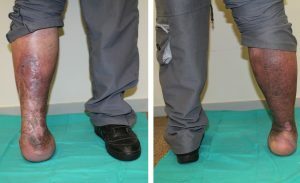 There are different amputation levels of the lower limb, those that result in above-the-ankle amputation are considered major amputations, and those that spare the ankle are defined as minor amputations . Regarding amputation-related-mortality, Evans et al, showed a mortality of 20% in the 2-year follow-up after a minor amputation compared to the 52% seen in patients who underwent a major amputation . Numerous studies support the need to be as surgically conservative as possible, with limb conservation procedures, since energetic output is increased progressively as an amputation becomes more proximal . Moreover, several patients present with several comorbidities, as in the case presented, and are non-candidates for rehabilitation after major amputations. Hence, preservation of the majority of the limb with partial minor amputations can result in an improved functional status . Likewise, minor amputations may confer the possibility to ambulate for short distances without the need of prosthesis, allowing the patient to perform many daily-living activities, and thus, having a major impact on quality of life . In some cases, in order to achieve minor amputations, the complexity of the surgical techniques is considerably higher and are often unconventional procedures that surgeons might not be familiarized with. 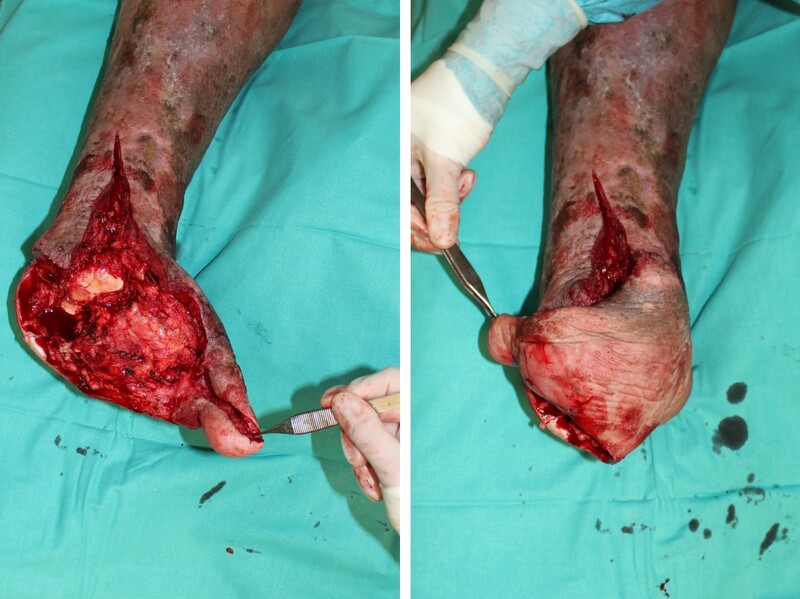 In the case presented, due to patient conditions, impaired sensibility, presence of osteomyelitis, and the condition of the foot soft tissues, initially the decision was to perform a major amputation. Nevertheless, the scarce possibilities for adaptation to a prosthetic device and ambulation after amputation, a more conservative approach was planned. Therefore, preservation of the non-osteomyelitic bone and coverage of the skin defect with an adipocutaneous fillet flap from the hallux and the plantar surface provided a stable coverage without any added morbidity. The fillet flap is well described in the literature as an alternative for large defects that require coverage without sacrificing the length of the extremity . It provides superb mechanical stability plus an added quasi-normal sensitivity to the stump. Additionally, utilizing plantar tissue also provides an excellent, and long-lasting, surface for the stump . Diabetic patients with DFUs should undergo individualized treatment based on their characteristics. In certain cases, a more conservative amputation, despite being more technically challenging, allows the patient to have a better quality of life as well as more independence. No conflict of interest to disclose. Pérez NF, Pérez CV, Llanes JA. Las amputaciones de dedos abiertas y cerradas: su evolución en el pie diabético. Rev Cuba Angiol Cir Vasc. 2010;11(1):89–100. Zhang P, Lu J, Jing Y, Tang S, Zhu D, Bi Y. Global epidemiology of diabetic foot ulceration: a systematic review and meta-analysis. Ann Med. 2017 Mar;49(2):106–16. Al-Rubeaan K, Al Derwish M, Ouizi S, Youssef AM, Subhani SN, Ibrahim HM, et al. Diabetic foot complications and their risk factors from a large retrospective cohort study. PloS One. 2015;10(5):e0124446. Allen L, Powell-Cope G, Mbah A, Bulat T, Njoh E. A Retrospective Review of Adverse Events Related to Diabetic Foot Ulcers. Ostomy Wound Manage. 2017 Jun;63(6):30–3. Scatena A, Zampa V, Fanelli G, Iacopi E, Piaggesi A. A Metastatic Squamous Cell Carcinoma in a Diabetic Foot: Case Report. Int J Low Extrem Wounds. 2016 Jun;15(2):155–7. Hoffstad O, Mitra N, Walsh J, Margolis DJ. Diabetes, Lower-Extremity Amputation, and Death. Diabetes Care. 2015 Oct;38(10):1852–7. Wukich DK, Hobizal KB, Brooks MM. Severity of Diabetic Foot Infection and Rate of Limb Salvage. Foot Ankle Int. 2013 Mar;34(3):351–8. Evans KK, Attinger CE, Al-Attar A, Salgado C, Chu CK, Mardini S, et al. The importance of limb preservation in the diabetic population. J Diabetes Complications. 2011 Jul;25(4):227–31. Czerniecki JM, Morgenroth DC. Metabolic energy expenditure of ambulation in lower extremity amputees: what have we learned and what are the next steps? Disabil Rehabil. 2017 Jan 16;39(2):143–51. Pinzur MS, Gold J, Schwartz D, Gross N. Energy demands for walking in dysvascular amputees as related to the level of amputation. Orthopedics. 1992 Sep;15(9):1033-1036. Chung S-R, Wong KL, Cheah AEJ. The lateral lesser toe fillet flap for diabetic foot soft tissue closure: surgical technique and case report. Diabetic Foot Ankle. 2014 Jan;5(1):25732. Janssen D, Adolfsson T, Mani M, Rodriguez-Lorenzo A. 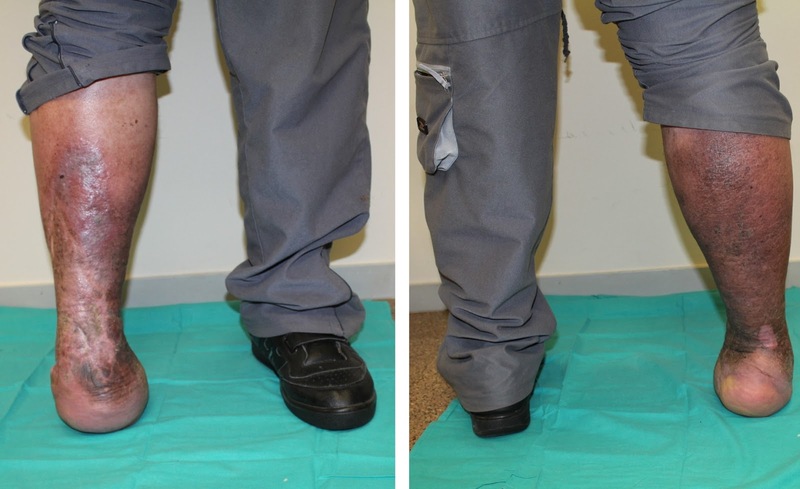 Use of a pedicled fillet foot flap for knee preservation in severe lower extremity trauma: A case report and literature review. Case Rep Plast Surg Hand Surg. 2015 Dec 23;2(3–4):73–6. Small-vessel vasculitis is responsible for a wide variety of diseases that affect vascular structures such as venules, capillaries, arteries, and arterioles with classic inflammation. The inflammation, in turn, can damage the affected organ, which can lead to a wide variety of signs and symptoms. The most commonly affected organ is the skin. There are many causes of vasculitis, and in recent years, diagnosis has substantially progressed due to the discovery of more pertinent labs, as well as the use of biopsy techniques. This review of small-vessel vasculitis will also present a case in the lower extremity with biopsy and treatment. Department of Podiatric Medicine and Surgery. West Palm Beach, Florida. The first historical accounts of vasculitis are of small-vessel vasculitis, especially forms associated with purpura . The Latin term vasculitis may have derived from the Greek porphyra, describing the color produced by a mollusk (purpura lapillus) . Small-vessel vasculitis accounts for a wide range of diseases that affect venules, capillaries, arteries, and arterioles with classic inflammation. It is important to note that small-vessel vasculitis may affect arteries, and thus the vascular distribution overlaps with that of the medium-sized-vessel and large-vessel vasculitides . Excess leukocytes within the vessels lead to a loss of structural integrity and possible destruction . Clinical presentation may vary widely, depending on the organs affected. Generally, the only organ involved is the skin, but it is possible for systemic involvement to occur also. Skin lesions may represent the initial sign of a systemic vasculitis . Cutaneous small-vessel vasculitis is characterized by a spectrum of cutaneous lesions, but palpable purpura is most common . The etiology of small-vessel vasculitis is unknown in many cases but may be due to primary diseases such as microscopic polyarteritis and connective tissue disorders. Lotti, et al., reported that systemic lupus erythematosus, Sjogren’s syndrome, rheumatoid arthritis, and Behcet’s disease are some common primary causes. Secondary causes to an underlying disorder, such as drug reaction, post viral syndromes, infection (bacterial, fungal, protozoan, or helminths), or malignancy, were also reported [1,3]. In addition, patients with hyperglobulinemic states and cryoglobulinemia may have small-vessel vasculitis and, occasionally, it is associated with bowel bypass syndrome, ulcerative colitis, cystic fibrosis, primary biliary cirrhosis, and HIV . Still, as in all forms of vasculitis, most cases of small-vessel vasculitis are idiopathic (45-54%), due to medications (10-45%), or infections (10-36%) . Drug-induced vasculitis usually develops within 7 to 21 days after treatment begins 1. Medications most commonly associated with small vessel vasculitis are insulin, penicillins, aminopenicillins, sulfonamides, allopurinol, retinoids, quinolones, hydantoins, propylthiouracil, pyrazolones, and diuretics. Foods, such as gluten and milk proteins, and chemicals such as insecticides, should also be considered as a cause. Lotti, et al., states that small-vessel vasculitis occurs equally in both sexes and at all ages, and approximately 10% of affected patients are children. It is important as a clinician to think outside the box in diagnosing. Cutaneous vasculitis may present as purpura, erythema, urticaria, nodule, bullae, or skin infarction leading to ulceration . In the beginning stages, all patients have purpura, but the lesions might not be palpable. According to Gamarra, et al., as the process continues, the lesions, which range in size from pinpoint to several centimeters, may become papulonodular, vesicular, bulbous, pustular, or ulcerated as superficial infarctions occur. Occasionally, subcutaneous edema in the area of the vascular lesions can be observed . Lesions occur in stages and while they may appear in other areas, they predominantly appear in the legs and ankles . Lesions may be mildly pruritic or painful and subside within 3 or 4 weeks, leaving residual hyperpigmentation or atrophic scars [1,4]. Patients may describe “flu-like” symptoms, such as fever, malaise, arthralgias, and myalgias, although presentation can vary greatly. Although most cases of vasculitis are self-limiting, 10% of patient are likely to have recurrence of symptoms with new crops of lesions appearing for months or years [1,2,4]. Since cutaneous ulceration is usually caused by small-sized to medium-vessel vasculitis, it is important to obtain a complete list of differential diagnoses for your patient and take a thorough history and clinical exam. Further studies must be performed to diagnose your patient appropriately. Laboratory testing consisting of serum creatinine, liver function test, urinalysis, complete blood count, antibody testing [including antinuclear antibody (ANA) and antineutrophil cytoplasmic antibody (ANCA)], hepatitis B and C serologies, immunoglobulins, as well as radiographs, are helpful in achieving a diagnosis. The current gold standard for diagnosis of vasculitis is biopsy of the affected vessel. The histopathologic examination of the biopsy will reveal angiocentric segmental inflammation, fibrinoid necrosis, and a neutrophilic infiltrate around the blood vessel walls with erythrocyte extravasations. A positive biopsy supports the diagnosis, while a negative one does not necessarily exclude it . A 41-year-old male with an unremarkable past medical history presented to clinic for extremely sensitive, painful lesions of his bilateral lower extremities for 4 weeks (Figure 1). The patient was not currently on any medications, nor were there any noticeable changes to his daily routine. 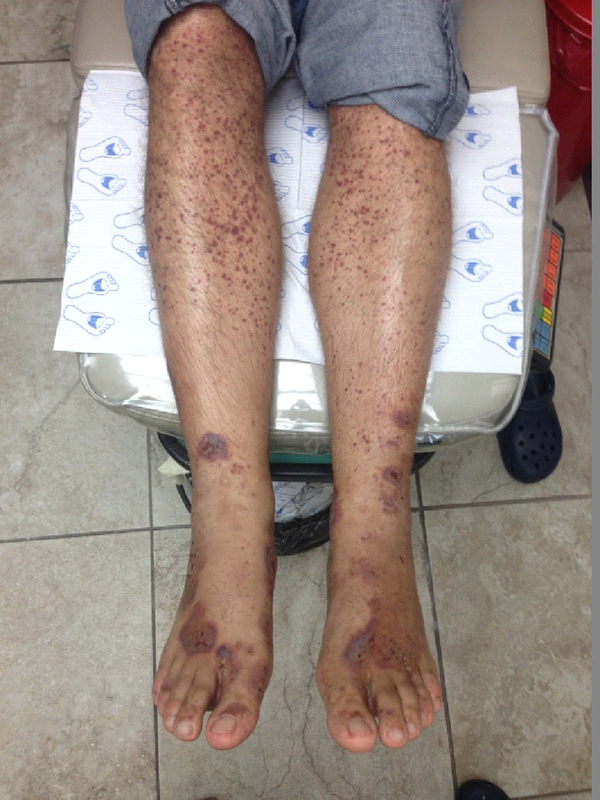 Figure 1 Initial presentation of patient with extremely sensitive, painful lesions of his bilateral lower extremities outstanding for the duration of 4 weeks. Physical examination revealed palpable purpura with several non-blanchable, pinpoint, erythematous lesions of the bilateral upper and lower extremities, as well as the abdominal region (Figures 2, 3). 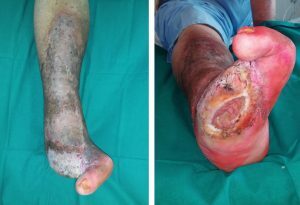 Among the lower extremity lesions were hemorrhagic vesicles of varying sizes, as well as pustular lesions, with various stages of ulceration present ranging from 0.5 cm to as large as 2.0 cm with areas of necrosis (Figure 4). 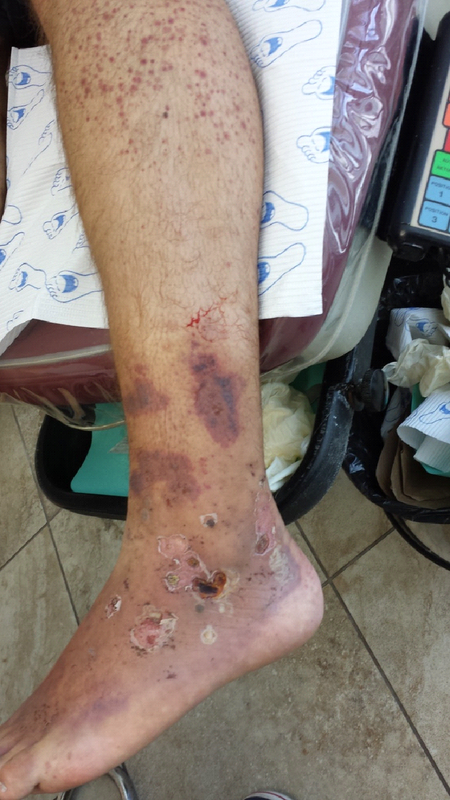 Figure 2 The lesions of his lower extremities were ulcerated with purulent drainage. Figure 3 Palpable purpura with several non-blanchable, pinpoint, erythematous lesions of the bilateral upper and lower extremities, as well as the abdominal region. Figure 4 Lower extremity lesions, hemorrhagic vesicles of varying sizes, as well as pustular lesions with various stages of ulceration were present ranging in a plethora of sizes from 0.5 cm to as large as 2.0 cm with areas of necrosis present. The patient had initially seen his primary care doctor and the lesions were locally treated with mupirocin 2% ointment and dry sterile dressings. At follow-up, only mild improvement was noted and extensive laboratory work was ordered by the primary care physician. The many tests ordered include; a liver function test, hepatitis panel, rheumatoid factor, antinuclear antibody, and complete blood count with differentials, and the patient was referred to our clinic with the results. In our clinic, radiographs were performed, which were negative for any significant related pathology, and the lab work was reviewed and noted to be unremarkable. A 3-mm punch biopsy was performed on a non-ulcerative lesion and sent for pathology. Local wound care was continued. The biopsy results revealed “small and medium-sized vessel vasculitis” with sections demonstrating a mixed inflammatory infiltrate with a predominance of neutrophils centered within the deep reticular dermis. Small muscular vessels exhibit neutrophils within their walls in concert with fibrin extravasation. The etiology of his condition was unknown, and the patient was started on oral prednisone 50 mg, twice daily, and tapered accordingly. The patient continued to have local wound care performed and his signs and symptoms greatly improved at each follow-up appointment. When possible, identification and removal of the causative agent are an effective approach to treatment . This is occasionally followed by rapid clearance of the skin lesions, and no other treatment is necessary . In many patients, small-vessel vasculitis will have a relatively benign, self-limited course, especially if the disease is limited to the skin; however, for the patients with aggressive disease, it is imperative to begin the appropriate treatment quickly . Topical therapy, such as antibiotic ointments and corticosteroid creams, as well as routine debridement and local wound care may prove helpful to the patient. If localized edema is present, gradient support stockings can help with symptoms as well. Systemic treatment can include, but not limited to, systemic corticosteroids, non-steroidal anti-inflammatory medications, colchicines, dapsone, potassium iodide, antihistamines, fibrinolytic agents, aminocaproic acid, immunosuppressive agents, and monoclonal antibodies . In our case, systemic corticosteroids were chosen due to the significant cutaneous ulcerations. Rebound is a serious problem with rapid reduction of the medication dose; therefore, if this therapy is selected, the authors recommend a gradual taper over 3 to 6 weeks . Small-vessel vasculitis can present itself in a variety of ways. It is important to obtain a thorough medical history and physical examination, as well as obtain a list of any pre-existing and new medications the patient may had started. Obtaining a thorough family history may help in diagnosing connective tissue disorders that the patient himself may not have been diagnosed with yet. Extensive laboratory testing is an essential key to diagnosing small-vessel vasculitis in addition to a biopsy, which is the gold standard. Biopsies should be performed within 24-48 hours after the appearance of a vasculitic lesion to prevent the pathological characteristics of vasculitis from being lost . Once biopsy results are reviewed, appropriate therapy should be started. Therapeutic approach requires elimination of the cause (drugs, chemicals, infections, food allergens) when possible and in patients where the etiology is unknown, local and systemic therapy is recommended . The goal should be neither to over-treat a mild disease nor to under-treat a severe disease . Gamarra A, Matteson E, Restrepo J. Small vessel vasculitis. Revista Colombiana De Reumatologia. 14(3):187-205, 2007. Jennette J, Falk R: Small-vessel vasculitis. The New England Journal of Medicine. 337(21):1512-1523, 1997. Wagoner M, Creech C, Vlahovic T, et al: Idiopathic mixed small and medium vessel cutaneous vasculitis: A case report. The Foot and Ankle Online Journal. 7(1):5, 2014. Lotti T, Ghersetish I, Comacchi C, Jorizzo J, et al: Cutaneous small-vessel vasculitis. Journal of the American Academy of Dermatology.39(5):1, 1998. Mekkes J, Loots M, Van der wal A, Bos J, et al: Causes, investigation and treatment of leg ulceration. British Journal of Dermatology. 148:388-401,2003. Brogan P, Eleftheriou D, Dillon M, et al: Small vessel vasculitis. Pediatr Nephrol. 25:1025-1035, 2010.